probably quite as many cases of reference of they and their to words like person and one and everybody could be discovered in an equal number of pages of Jane Austen or Walter Scott and of Addison and Swift (p. 225). Leonard continues: “there is good evidence that British usage is still about equally unfettered in the manner”. If anybody wants anything in Town, they must send their Commissions to Frank. Most other examples I found occur with everybody, as in “Everybody sends their Love”. Everybody, however, has plural reference, and they or their would not be inappropriate. The case of anybody is therefore different, but it was the only instance in the letters. 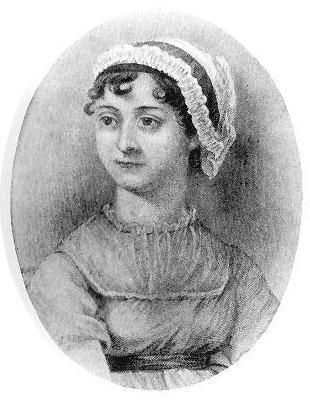 Usage by Jane Austen cannot therfore be considered as uniformly favourable to the construction as Mittins et al. or Leonard suggest. Another interesting point about “Everybody sends their Love” is that the finite is not plural. No wonder grammarians and wirters on usage have problems with the use of singular they. On a webpage called Everyone loves their Jane Austen, the author, Henry Churchyard, lists 75 instances of singular their in Jane Austen’s writings: again, not quite as many as Mittins et al. or Leonard seem to think. For all that, thanks to the author of the page for this meticulous work. Gallery | This entry was posted in usage features and tagged Jane Austen, prescriptivism, singular they. Bookmark the permalink. You have set up a very interesting blog. We appreciate this initiative! The blog’s posts are being sent directly to our twitter profile (@ttranslations). Will any reader please put up his, her, its, their, his or her, hes hand if she, he, it, she or he, s/he finds this singular ‘they’ business tiresome? It’s really silly how English often has many words for one thing(like ‘start’, ‘begin’, ‘commence’, ‘initiate’) but not a suggestion of one word for ‘he or she’, ‘his or her’ and so on. People get into a huge mess with this. Some people simply cannot bring themselves to say ‘they’ instead of ‘his or her’ as in ‘Every student must bring their textbook tomorrow’. The language needs a gender-free pronoun, but we refuse to make one. A few years ago, ‘Australian Style’ magazine (from Macquarie University in Sydney) received support from only 28 per cent of responders in its survey on this subject. So, having rejected a new pronoun, the conservative protectors of a faulty language also reject using ‘they’ and ‘them’ as a singular! When our language has such an obvious hole, why do people shy from filling it? If Jane Austen, The Bible, Shakespeare and Bernard Shaw can use it, and as just about everbody SAYS it, don’t you think it’s a little like King Canute to resist? Gender equality forbids us to use ‘he’ and ‘him’ all the time as we once did, and there is no neutral word. Anybody who still refuses to accept a singular use of ‘they’ runs the risk of looking like a doddering old pedant. After saying all this, however, I acknowledge that there is a minor danger in the singular ‘they’. Here is an example sent to me by the well-known Australian copyeditor, Robert Byrnes: ‘Ambulance officers tried to revive the person [trapped under a train] but they died at the scene.’ (ABC news, Radio National, 12 July 2011). No, I do not find “they” tiresome but rather kind. I find calling everyone “he” including female students rude.